The meaning of the Anglo-Saxon word “rune” is secret, mystery or whisper. Beyond their mundane meaning and alphabetic/phonetic values, each rune has esoteric meanings, spiritual/divine properties, and strong relationships with the natural forces and the human mind. Runes are like oracles from which one seeks advice. They are most useful if you detail your current state and then ask your specific question. Their reading can sometimes be obscure: they give answers, but a reader has to figure out the details, which is the very reason why the intuition is so important in interpreting runes. 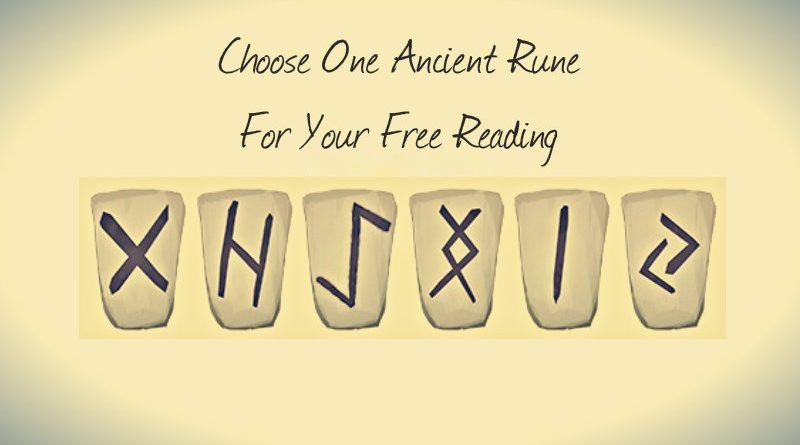 The rune casting or runic divination isn’t fortunetelling in the sense to see the future; they rather give a possibility to analyze your path and a likely outcome. The future is not a fixed phenomenon – it is changing with your actions. If you don’t like the prediction, you can always change your paths. Meaning: Love and partnership. Forgiveness, gift, skill, ability or talent. Characteristics: Sincerely ask for forgiveness and it will be given to you. A gift is present or incoming. Development or discovery of some talent or skill. Artistic, musical potentials. Declare love openly. Fortune in partnership. Show compassion. Gebo is the very origin of the “lucky seven” superstition, so the “gift” meaning comes out of it. Ancients were accepting gifts ready to give one in return, so keep in mind that receiving gifts places you under obligation to the giver, being it another person, destiny or gods. Except in love, Gebo also means a partnership and union in business. Forgiveness is the greatest of all gifts – to receive or to give. This rune is widely used as a sign of the kiss, i.e. a symbol of great affection. Interpretation: A gift represents your choice to accept or reject. Everything has its price, so if you accept, you have to be ready to give in return. Spiritual gifts are priceless. Find the balance between receiving and giving and learn to receive and give responsibly, meaning to decide when and whom to give; it is not very smart to give to everyone. Meaning: Interference. Disruption. Weather. Damaging forces of nature. Characteristics: The weather is an important aspect, so make sure to prepare for storm, lightning or flood. Disruptive influences may appear. A third party interferes. The Hagalaz rune represents hail and could relate to some unexpected hailstorm or even an elemental disruption concerning your life. When linked with other runes, Hagalaz can suggest limitation, delay or interruption, causing a total change in direction. The rune also means hardship, suffering, injury or illness. Interpretation: Challenges in your life. Not to fear, but to face them. A hailstorm is daunting and you need to catch a hailstone to see that it’s only water. Do the same with challenges: strengthen your determination and face these challenges with bravery, understanding that they are just stepping stones on your path to your goals. Ask for greater challenges, as you will gain more by overcoming them. Meaning: Archer’s bow. Weapon. Yew tree. Prevention. Deflection. Magic. Characteristics: Ihwaz is the symbol of the runes’ magic powers. Wisdom in adversity. You have defensive, deflective and aversive powers. Protection, patience, and foresight stand against sudden attack. As Rune number 13, Ihwaz is the origin of the “unlucky 13” Anglo-Saxon superstition. Yew trees are planted to keep out unwanted animals. The best longbows were made from Yew trees. This rune shouldn’t be feared as it also implies endurance and continuity. It contains protective magic, so Ihwaz generally represents safety from attacks and a great defense weapon. Interpretation: A time of transformation, a time to leave the old and enter the new; new life, new dreams, new beginnings. Change is the only constant. A quick progress requires not resistance, but an acceptance of changes. No fear should be involved. Changes could be scary, but you are stick to your path, remaining true to yourself. Soon, you will achieve your goal. Meaning: Love. Peace. Harmony. Approval. Unity. Agreement. Translation: Angel. The god Ing. Characteristics: The rune is named after the Norse heroic god Ing, who came to unite the people of Viking Jutland, and then he left them in peace and harmony. Therefore, Ingwaz is unity, peace, agreement, and harmony, but it also symbolizes the undying love between romantic partners. India also represents completion and certainty of conclusion. This may include the male orgasmic power or the birth at the end of the pregnancy. The rune is related to wholesome, healthy sexuality and strong and affectionate family. It gives a secure, safe home and heart. Ingwaz is protective, containing the idea of a beacon; it is a light in the darkness and, consequently, a spiritual inspiration. Interpretation: You may feel isolated on your spiritual journey, but there is a fire of inspiration within you, supporting you to go upward and onward. Feed that noble fire by perseverance, seek answers, but escape irrelevant questions. Live only in your presence. Meaning: Cold. Freezing. Ice. Lack of Change.Lack of emotion. Stagnation. Bridge across danger. Storing binding. Characteristics: Isa is ice. Ice can be beautiful appearance, but also a dangerous situation – it can be treacherously thin, it can make you slip and fall down, and it can block your progress. The Isa rune suggests you delay your plans and wait for better conditions, but it will protect you against magical attacks. It can take the heat out of confrontations. On an emotional level, Isa is able of cooling affections or frigidity. It has a delaying, preserving and freezing influence on other runes. Interpretation: Indications for a period of non-action. Don’t take anything for granted and don’t get into a rut. Things are at a standstill and this isn’t the appropriate time to force movement. Crossing some water could be beneficial to you. Feel free to release your feelings. You should not abandon your goals, this is a good situation to reconsider and reaffirm them. You are called to be patient and wise. Contemplate and prepare yourself. Leave no place for regrets or despondency. Things will surely change, ice is a temporary phenomenon, winter will be replaced with the spring, and the summer will come. Meaning: Harvest. Fertility. Fruition. Agricultural year. Characteristics: Good spirits, the fruition of your plans, success in endeavors, rewards for past efforts. Greatest reward is for those who work on their land with their hands. Inventiveness, skill or talent. As Rune 12, Jera symbolizes the 12 months of the year. Implications are fruitfulness, achievement of goal or profit, but also cycles of seasons implying natural development, change, movement. Usually, Jera is highly positive, but being a symbol of cause-effect relation it could portend the end-result of some actions from the past. Therefore, Jera can mean justice, while the justice itself implies a reward or a punishment. Interpretation: You have sown seeds in the past and now you will harvest fruits of rewards. This is a time for celebration, joy, and abundance. Enjoy, but keep in mind that you should still work without complacency. After the harvest, the winter follows, so make sure to store enough wisdom for the next challenges. This period isn’t a goal, but a turning point in life. More and greater harvests are waiting ahead, but first, you have to prepare the land and sow new seeds as real farmers do.